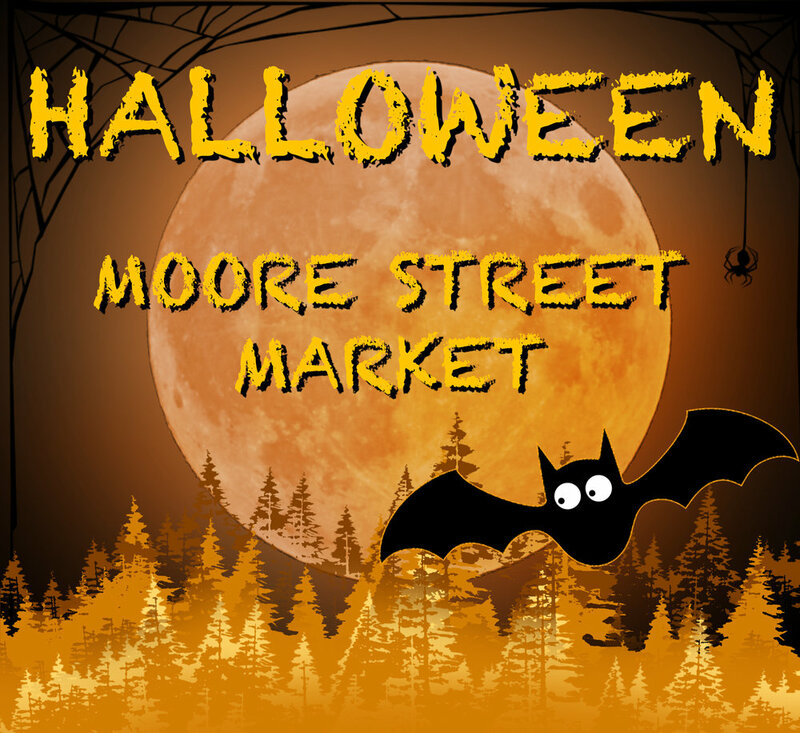 Halloween at Moore Street Market! Halloween spirit ignited the atmosphere at Moore Street Market, home to one of Brooklyn's oldest indoor markets. Celebrating the annual October night of scare, Moore Street Market hosted an evening filled with community fun welcoming all residents, families, and visitors. Anticipating the popularity of the night, Broadway Stages wanted Moore Street Market to be prepared for the hundreds of visitors that were to expected and to be throughly entertained. To ensure that the event was a total success, Broadway Stages contributed donations to make possible the scary decorations, halloween colored candy, and other necessary equipment. The evening that followed only filled with cheers, screams, and laughter from familiar members of the Brooklyn community. Visitors adventured through the market from vendor to vendor enjoying activities while displaying their costumes, which ranging from classical halloween characters to TV inspired costumes, in exchange for candy. The success of event even caught the attention of Antonio Reynoso, Council Member of the 34th District, citing that Broadway Stages' contribution and collaboration was imperative to the benefit of the event. Broadway Stages would like to thank Council Member Antonio Reynoso for his support and words of encouragement. Broadway Stages wanted to make Halloween a fun and entertaining night for Brooklynites and are happy that were able to accomplish that at Moore Street Market. We also want to thank the Brooklyn community for coming out to the Moore Street Market Halloween event and hoped you all are ready for next year's Halloween!